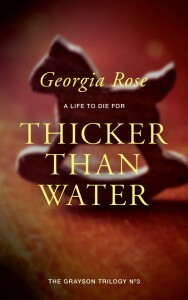 Cover Reveal & Blurb for Thicker than Water – it’s finally here! Hurrah!! The day has finally arrived when the highly anticipated Thicker than Water is ready to join the first two books A Single Step and Before the Dawn in the romantic and suspenseful Grayson Trilogy. Beautifully designed by the team at SilverWood Books I am delighted with it. What do you think? Would this entice you to buy it? and now finally I can add Thicker than Water to the line up! It is available for pre-order now and will be released on Friday 18th September 2015!! 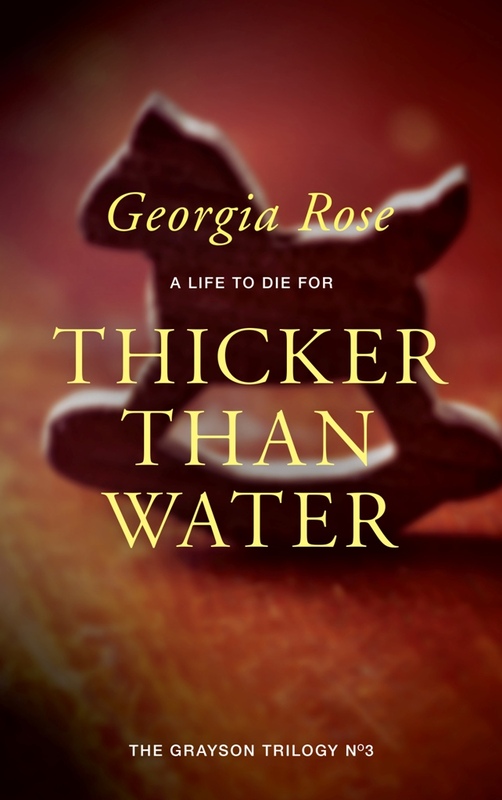 6 Responses to Cover Reveal & Blurb for Thicker than Water – it’s finally here! Oh!!!! I’m so excited. I’m currently reading the first of the series and loving it!!!! I can’t wait to get my hands on a copy – the first book was brilliant, the second book fantastic – well what will number three be? I am guessing incredible!! WELL DONE GEORGIA! !